Researchers at Kanazawa University report in Scientific Reports how a particular biochemical signaling pathway cancels biological noise, ensuring the proper stem cell differentiation during development. The conclusions are based on a combination of mathematical modeling and genetic experiments on fruit flies. Noise is usually considered a nuisance, for example when preventing us from clearly hearing what someone is saying. The general concept of noise applies more broadly. In biology, the physical differences between organisms of the same type, for example two humans, originate from so-called developmental noise — ultimately stemming from probabilistic collisions between reacting molecules and environmental conditions in cells during the early stages of the organism’s growth. Generally, mechanisms are in place to prevent biological noise from resulting in incorrect organismal developments. 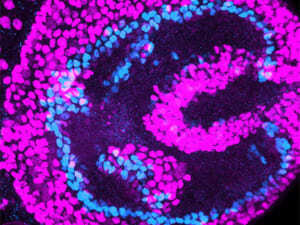 Makoto Sato from Kanazawa University and colleagues have now discovered that a particular biochemical signaling pathway contributes to noise cancelling in the differentiation process of neural stem cells — the self-renewing cells that play an important part in the development of the nervous system of animals during the embryonic stage. 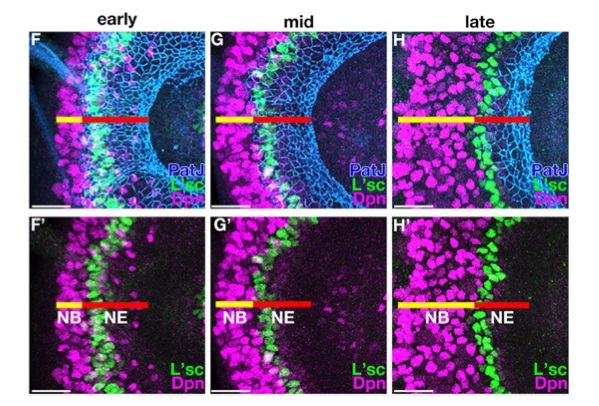 As a model system for understanding cancellation mechanisms of biological noise in a multicellular organism, the researchers looked at a particular development stage of the visual system in fruit flies: the propagation of the so-called ‘proneural wave’, during which cells of a type called neuroepithelial cell differentiate into neuroblasts (cells in the process of dividing into neurons). 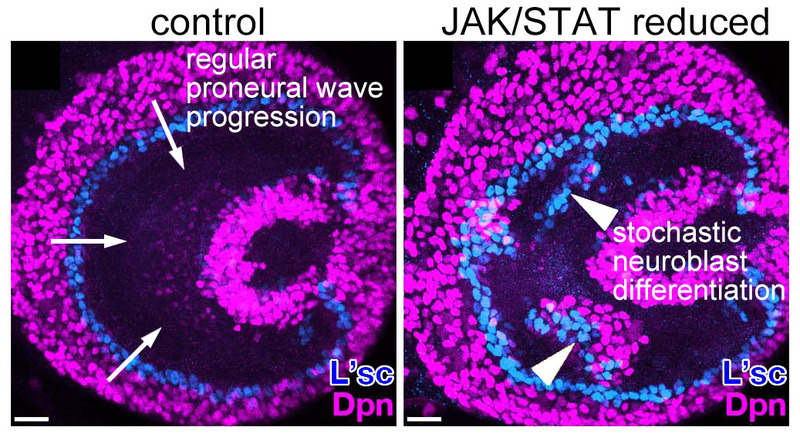 Inspired by earlier research, Sato and colleagues hypothesized that a signaling pathway (a particular chain of reactions between proteins in cells) known as JAK/STAT is involved in noise cancellation. The scientists combined mathematical modeling and genetic experiments. For the former, they designed a set of mathematical equations that quantify the variations in the system and reproduce the progression of the proneural wave. When including JAK/STAT signaling, they found that spontaneous, noise-induced neuroblast differentiation is cancelled. To confirm the effect of JAK/STAT signaling in vivo, the researchers performed experiments wherein the signaling pathway was reduced in a controlled way. 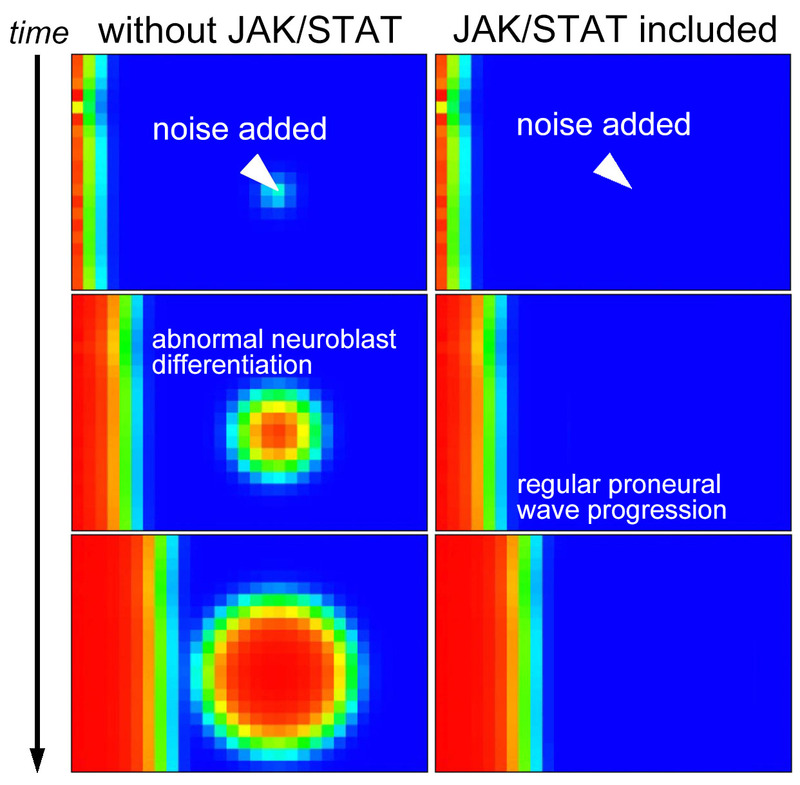 Upon reduction, stochastic differentiation of neuroblasts was observed, consistent with the conclusion that JAK/STAT has a noise-canceling function. Further genetic experiments provided more insights into the details of how noise canceling by JAK/STAT happens, and that this may be a function that has been conserved throughout evolution. Propagation of the proneural wave, in vivo, in the visual system of a developing fruit fly. Addition of noise causes abnormal neuroblast differentiation in silico (left), which is effectively suppressed by JAK/STAT (right). eduction of JAK/STAT caused stochastic neuroblast differentiation in vivo (right). This work was supported by CREST (JPMJCR14D3 to M.S. and S.E.) from JST, Grant-in- Aid for Scientific Research on Innovative Areas (JP17H05739 to M.S., JP17H05761 to M.S., and JP18H05099 to T.Y. ), Grant-in-Aid for Scientific Research (B) (JP17H03542 to M.S. and JP16H03949 to M.N. ), and Grant-in-Aid for Young Scientists (B) (JP17K14228 to Y.T.) from MEXT, Takeda Science Foundation (to M.S. ), and Cooperative Research of ‘Network Joint Research Center for Materials and Devices’ (to M.S. and M.N. ).